This article first appeared in City & Country, The Edge Malaysia Weekly, on December 3, 2018 - December 09, 2018. Kuala Lumpur was ranked 29 on Knight Frank’s recently launched Prime Global Cities Index for 3Q2018, with prices generally holding firm. Over the 12-month period, the city is in positive territory, with prices on average marginally up 0.7%. 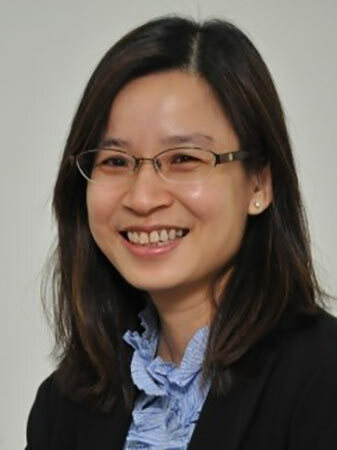 Market sentiment has improved since the formation of the country’s new government in 2Q2018, notes Judy Ong, research and consultancy executive director at Knight Frank Malaysia. “Looking ahead, the widening gap between supply and demand, coupled with rising financing cost, will continue to impinge on price growth as the market finds its equilibrium. However, with property developers generally more optimistic about the market outlook, we expect to see more launches moving into 2019 and beyond,” she says. On the whole, the index revealed that rising finance costs, new property market regulations and uncertainty over Brexit have curtailed price growth. Prices of luxury properties increased 2.7% on average for the year to September across 43 cities surveyed, marking the index’s weakest annual performance in nearly six years. However, 74% of cities registered an increase in prime prices year on year. Knight Frank international residential research partner Kate Everett-Allen remarks that 2018 is a watershed for the index. “The overall narrative of lower growth, which we predicted in 2017, has materialised. The rate of growth has declined for three consecutive quarters and has now reached its lowest rate since 4Q2012. “A combination of uncertainty surrounding Brexit, rising interest rates across major economies, a tighter regulatory environment and the remnants of high supply in some markets are impinging on price growth,” she says. Singapore saw the strongest rate of annual prime price growth at 13%, driven by limited availability of prime properties and a strong market outlook in the first half of the year. Hong Kong traded its top spot with Singapore as its annual prime price growth slowed to 5.5%. Both premier Asian cities saw cooling measures introduced over the summer months. The rate of annual price growth in Hong Kong has already slowed, but Singapore may not be far behind, with quarterly growth weakening to 1.7% in 3Q2018, the report notes. Meanwhile, Knight Frank Asia-Pacific head of research Nicholas Holt observes that prime residential markets continued to slow in Asia-Pacific in 3Q2018, with 13 of 17 regional markets seeing growth decelerate compared to the previous quarter. “Rising interest rates, cooling measures and worsening prospects for global growth are all contributing factors to this region’s prime market slowdown. While pockets of outperformance remain, these growing headwinds are likely to ensure that sentiment in many prime cities’ residential markets remains muted towards the end of the year,” says Holt. In Auckland, a new addition to the index, luxury prices rose 8.5% despite a ban on the purchase of existing properties by overseas buyers from July 1. In North America, San Francisco was the strongest performing city in terms of luxury price growth. Europe, which saw a mixed performance compared with a year ago, some cities, such as Edinburgh and Madrid, still saw strong growth. Meanwhile, Berlin and Paris swapped “spectacular” for “steady” growth. In London and Dublin, growth remained negative. Prime prices in London dipped 2.9% in the last year as uncertainty around Brexit continued, further fuelled by a growth in supply as more landlords attempted to sell their properties following tax changes, according to the report. The index also revealed significant variations within continents and countries. In Canada for example, Toronto saw prime prices rise (8.5%) in the exclusive areas of Rosedale and Yorkville, whereas Vancouver has seen a marked slowdown (-11.2%) in sales and prices due to the raft of measures introduced in February’s Budget. 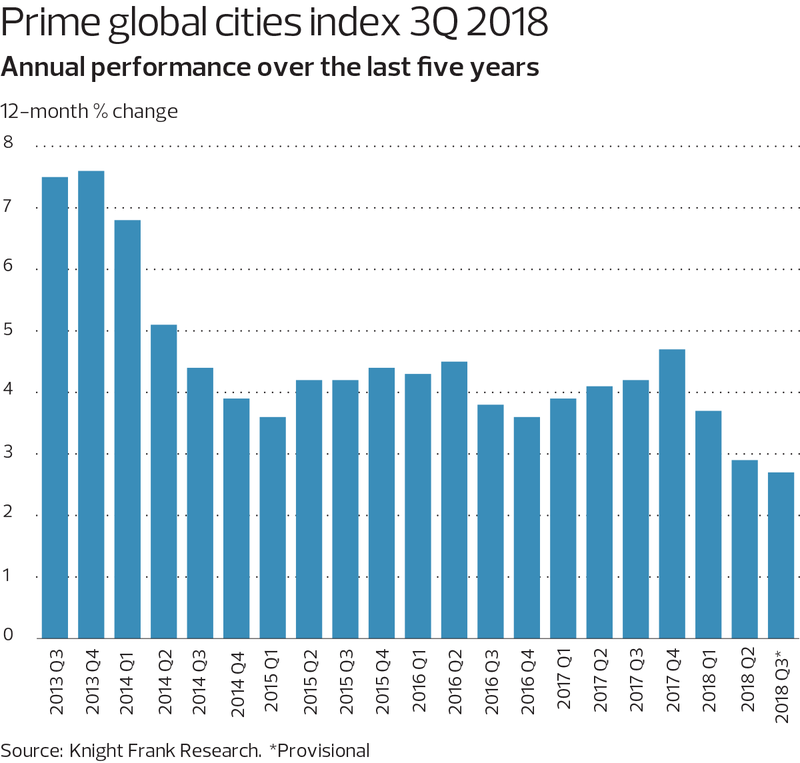 The Knight Frank Prime Global Cities Index tracks the movement in prime residential prices across 43 cities worldwide using the real estate consultancy’s global research network data. The valuation-based index is compiled quarterly to enable investors and developers to compare the performance of prime residential prices across key global cities as prime property corresponds to the top 5% of the housing market in each city.